“First of all, I can’t pull this part to I say thank you to the whole team over there. I think it’s only those families who are in the same situation as we were What a huge relief it is for everybody really to get to this point to have a child who is not wetting the bed anymore. I can say now that I have a happy 10 year old boy who is highly intelligent and proud and confident and happy! For me to be able to see my boy going to a birthday party and sleep over night and have no fear of wetting the bed at someone else’s house is the most important to me. There was a time when I thought maybe we would maybe never get to this point, but we did it. It’s only because we got into this program to end bedwetting, which i think is wonderful. I had Claudia –wonderful Claudia–all the way supporting us. I had my moments when all the family found it difficult to keep on going and do the practice and do everything that we were asked to do, but it was worth it….more than worth it. I would encourage all the families in the world to try this method–to go after the problem– because bedwetting is not something that will just disappear by itself. This is something we are told; that it will disappear through time. I think this is the biggest problem–that we believe in it–and we keep waiting and waiting. I just couldn’t understand why we didn’t find your bedwetting program sooner. Our whole team thanks you for sharing your experience with the Enuresis Treatment Center for Bedwetting. Research All You Need to, But You’ll End up Coming Back to This Program Because it Works. “Hi, I’m Charity, and my little boy is Jack, and he’s nine years old. I had done a lot of research. We worked closely with our pediatrician and a urologist to try to make sure that I could find something. I didn’t want him to suffer without a program. I actually looked at the references or the testimonials of other parents, and they had mentioned that their children had ADHD. People from all over the country and world were able to be successful in the program, so I thought I’d give it a try. He has been diagnosed with ADHD since he was four, and he’s been on a constant regiment of different medications. We’ve tried melatonin at night to get him to sleep He has definitely had sleep problems since he was born. He ended up on medication called Quantity. We’ve basically been on that medication throughout the program. You were fabulous, and I mentioned that to you when we graduated us that I felt really blessed to have you consistently stick with us, and I didn’t feel judged when I couldn’t feel I could do it anymore with this long process. You provided a lot of information that was tailored to him, and it worked. I felt supported, and it was definitely something that each and every time I talked to you, you would make things specific to him. You also gave me encouragement about how you had other parents and clients going through certain things as well. It was just really nice knowing I had you the whole time. LORI: What has been the best thing for Jack as a result of not wetting the bed anymore? MOM: Probably his self esteem. Just something as simple as wearing the same underwear up to the next morning without having to take a shower every single morning because he wets. He can go to the next evening and shower because he feels like it, and not because he has to. Of course, I get to sleep during the night now if I don’t have to worry, and it feels like a weight has been lifted off our shoulders. He is looking forward to going to friends’ houses that he hasn’t been able to go to because he was worried about wetting. So the sense of freedom and his self esteem… those are probably the big things. LORI: Have you seen any difference in his behavior? MOM: He’s acting a lot more mature and independent. I would honestly think that his behavior has changed because he slept better, and maybe it has even effected his grades. He’s always done fairly well, but just being able to get a good sleep pattern has made a difference in that. I would encourage any parent to go through this bedwetting program. http://nobedwetting.com/etc6.png 0 0 Leslie MIller http://nobedwetting.com/etc6.png Leslie MIller2018-02-19 17:42:052018-02-19 18:32:31Research All You Need to, But You'll End up Coming Back to This Program Because it Works. 16-Year-Old Continued Wetting the Bed – Why Trust Us? We are always grateful when a family wants to share their experience with other parents searching for help for their child, especially a teenager, to stop wetting the bed. Here is the written version of this mom’s conversation with her counselor, Claudia, as they were completing treatment. MOM: I’m so unbelievably grateful, and also just to this company. Words can’t begin to describe how truly thankful we are for all it has done. After so many years of dealing with this problem, I can’t believe it’s no longer an issue in our house. I have a very healthy, happy, dry 16-year-old, so we just want to sincerely say thank you. Our previous experience was with a company called Pacific International. It was a very long and draining experience that we had, and it was also unsuccessful. We started the program when my son was nine years old, and were very optimistic that it was going to help him. We tried on our own, but knew we needed help at that point. I’m sure as anyone knows who is dealing with this bedwetting problem, it’s very heartbreaking to see your teenager wake up wet every morning. Pacific International told us that the program should work anywhere between one and two months to six months to a year at the longest. My son was on that program for four years. At that point we said that that was enough, and we asked for a refund. They pushed off that request, and asked if we could try a couple more things. Of course we did. We wanted to try more things because we wanted our son to be dry more than anything. The money wasn’t that important; we just wanted to get him dry. The things they asked us to do were things we had already done and that hadn’t worked the first time, but we still tried. After another long period of time–probably more than six months at least–we called it quits. To this day, we never received a refund that was promised, and I know we never will. But we stayed with that program for so long–probably over the course of six years–because we wanted for our son to be dry. We honestly didn’t know what else to do at that point. We just had no other answers. We were hoping and praying that he would grow out of it on his own, but he never did. So for about a year, we just did nothing. Sometimes he would have long stretches of dry periods, and sometimes he would have long stretches of wetting. At this point, he was approaching 16 years old, and we knew we needed help, and that’s when we found the Enuresis Treatment Center. CLAUDIA: Wonderful! So why did you trust us? What made you trust us? MOM: First of all, we loved how the company began…by a woman looking for a solution to help her daughter. Gaile was wonderful on the phone. We knew a lot went into finding and researching solutions that worked, and we were just very impressed by all the people we spoke to. I’m going to be very honest with you. We were very skeptical about this program –as you can only imagine — after all we had been through. We were also very tired and drained from working so hard at this for so long with no results. As much as we were hopeful and optimistic that this was finally our answer, we went into this without that brand new excited energy that you might have when you start something new, but something felt different, and we knew that we were going to give it a shot. CLAUDIA: Do you have any difference you want to share with us? MOM: There were a lot of differences to the program actually that we found. While some of the methods were actually similar in nature, ETC had a lot of positive differences. For one, just the equipment in general. It was so much more comfortable for my son and so much easier to use. Also, a couple of the simplest exercises that he did on your program were so effective, and he had never done that before in the past –they were never presented to him. That was a great step, and obviously that worked. One other big difference that comes to mind. On the other program, the only communication we had with our caseworker was through the mail. If we had problems or concerns, we would call, but it was not on a regular basis. Only as needed. Here with you, we were assigned a wonderful caseworker who I spoke with every two weeks. It was wonderful; so personable. I was able to ask questions–even the smallest ones– regarding my son in particular. It was personal in nature, which was great. It was a great process. http://nobedwetting.com/etc6.png 0 0 Leslie MIller http://nobedwetting.com/etc6.png Leslie MIller2018-01-18 18:22:392018-08-01 12:05:0516-Year-Old Continued Wetting the Bed - Why Trust Us? This is a case review of a 42-year-old Caucasian male, who we will refer to as William. He was suffering from bedwetting for his entire life. Bedwetting is also known as nocturnal enuresis and primary nocturnal enuresis. William reached out to our clinic after reading about our expertise in solving adult bedwetting. He commented about his experience of relief while reading our website information, and that it made so much sense. He then knew unequivocally that his heavy, deep sleep had to be the underlying issue, not only for his years of nighttime accidents, but also for his teenage son’s bedwetting. William’s father experienced bedwetting into his teen years. William’s grandfather also wet the bed as a teenager. His father’s father experienced teenage bedwetting as well. Now William’s son continues to experience nighttime bedwetting as a teen. He has always wet the bed – never been dry at night. In recent years, William’s father was diagnosed with sleep apnea, and he currently wears a c-pap device, also know as a continuous positive airway pressure therapy, to help regulate breathing. This is not an uncommon diagnosis stemming from the sleep disorder with which we work. Also, not uncommon is the sleepwalking and night terrors experienced by his aunt. These are symptoms that cannot be eliminated. The only possibility is to manage these symptoms as best as somebody can. Since bedwetting was “outgrown” by his dad and aunt, the detriment it poses is that these other untreatable conditions can surface and affect quality of life. We know a new pattern of sleep is needed which will not only eliminate bedwetting; it will also cut off the possibility that the untreatable conditions will arise. The result of this study shows the differences in normal sleep patterns and those of a bedwetter. In normal sleep, people fall slowly from Stage 1 (lightest sleep) into Stage 4 (deepest sleep), and then back to lighter stages where it’s easy to awaken. A full cycle takes approximately 90 minutes to achieve. A person who wets the bed falls quickly into deep sleep and stays there for longer periods. This is the problem. The brain is not supposed to stay in Stage Four for very long. Cycling doesn’t take place consistently throughout the night, and the bedwetting occurs as a result. The study’s findings concluded that all bedwetters share a deep sleep pattern. Our center has decades of clinical and anecdotal experience, which proves that the only effective treatment and cure for bedwetting is to change the pattern of sleep. Chronic bedwetting is the symptom caused by the inherited sleep disorder. 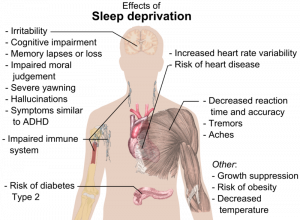 This same sleep disorder causes sleep apnea, excessive snoring, sleepwalking, night terrors, insomnia, and bruxism. A thorough assessment, required for preparing for one of our programs, revealed that he also experiences difficulty awakening in the morning, had sleepwalking episodes as a child, and was prescribed Ritalin during his late teen years to help with focusing and hyperactivity. When we discussed the frequency that the bedwetting is occurring, William claimed he has wet the bed every week of his life. In the past year he has seen an increase in the frequency of the bedwetting with a pattern of two to three times a week on average. Currently he has no medical issues other than seasonal allergies. He has previously – during childhood and even as a teen – been examined by two pediatricians, three urologists, and a neurologist to determine a cause of the bedwetting, also know as primary nocturnal enuresis. At no time was a physical symptom diagnosed. Enuresis workups included: Urinalysis, urethral obstruction scope, several ultrasounds, and an MRI. According to the American Pediatric Association, less than 1% of bedwetting is caused by a physical problem. He did not recall a physician providing any statistics regarding the length of time he would suffer from bedwetting, and of course he was not provided the statistics for primary enuresis: 1-30 for teenage bedwetting or 1 -100 adults who would continue wetting the bed as an adult. No medications were prescribed until he reached age 24. Over time, he was placed on three different drugs, which included Ditropan and Tofranil to no avail. His last desperate attempt was with Desmopressin. William researched the side effects of Desmopressin when the dosage was increased to three pills each night, and when he started regularly feeling queasy and irritable, which he said was not typical. William lives in a warm climate, is physically active, and knew how important hydration was to his well-being. Desmopressin is meant to purposely cause dehydration in the body in an attempt to eliminate the bedwetting. When his discovered the extensive list of side effects of Desmopressin, as well as the ineffectiveness, he stopped taking the drug immediately. What makes drug intervention for bedwetting a completely ineffective approach is because it doesn’t remotely touch the causal factor of the core issue – sleep. Below is a list of some of the side effects of Desmopressin. Also known as DDAVP, it is an antidiuretic and anti-hemorrhagic drug used to treat bed-wetting, central cranial diabetes insipidus, and increased thirst and urination caused by head surgery or head trauma. DDAVP is also used to treat bleeding due to platelet dysfunction. DDAVP is available in generic form. Headache, nausea, upset stomach or stomach pain, diarrhea, or flushing of the face (warmth, redness, tingly feeling). DDAVP can infrequently cause low levels of sodium in the blood, which can be serious and possibly life-threatening. Seek immediate medical attention if you have symptoms of low levels of sodium in the blood, including: loss of appetite, nausea, vomiting, severe headache, muscle weakness/spasms/cramps, weight gain, unusual tiredness, dizziness, severe drowsiness, mental/mood changes (confusion, hallucinations, irritability), loss of consciousness, seizures, or slow/shallow breathing. Physicians continued to tell him he was not trying hard enough, which he confided was scarring his self-esteem, and resigning him to the point of view that he would have to live out his life continuing to wet the bed. He expressed a deep resentment over the dismissal of this problem of wetting the bed, and was amazed and confused that it would even be intimated that he hasn’t done his part to end the stress of this condition. We can see more about how the problem with doctors saying bedwetting will be “outgrown” can cause psychological havoc to its victims, attacking self-esteem, increasing a sense of failure, and feeling “different”. For many of our adult patients, they tend to live more solitary lives because they feel too uncomfortable disclosing the bedwetting to a potential mate. Unfortunately, intimacy often becomes what they feel is an impossibility to them. We understand it can be difficult to open up to somebody about this condition. Many adults in our program have expressed anger or sadness or regret for having “missed out” on opportunities as a result of having to hide an extremely sensitive and often shameful part of their lives. He was highly motivated to enter as well because his wife had recently filed for divorce. One of the reasons involved her perspective on William’s bedwetting. She eventually began to accuse him of deliberately wetting the sheets. In fact, in a most unfortunate experience for William, his wife used this perspective and had her attorney introduce it publically in divorce court. We have the utmost respect for William to ride that through, and then do whatever it would take to eliminate a problem that he thought he had no control over, and that has clearly impacted his life to the extent of being publically humiliated. Years of research and development dictates a two-week meeting schedule in order to properly develop a personalized plan. We assign to our patients one of our staff counselors to work closely with them and facilitate their plan. Our counseling staff includes a school psychologist, nurses, and teachers. William was offered the opportunity to conduct his appointments via Skype. He chose instead to have phone contact because, as he described, “the pain and embarrassment is too deep to face anyone”. Our protocol dictates that our Director of Treatment reviews each case before a customized program is designed. It was determined that a male bedwetting counselor would work with William throughout his program. Focus was placed upon ending the heavy and problematic sleep that had caused the continuation of the nocturnal enuresis. Besides the enuresis, William presented with always feeling unrested, having difficulty focusing, being exhausted upon awakening rather than refreshed, and becoming more and more withdrawn over the years. We found out that William had symptoms of urgencies, a need to empty his bladder multiple times during the day, and we know this was attributed to the bedwetting itself. It was determined that this is an actual a symptom of the bedwetting because the bladder tends to remain underdeveloped as a result of emptying regularly in the night. We therefore developed and implemented a seriesces of targeted exercise, introduced at varies segments of his program ,develop to needed to fully support him and thus eliminate excessive needs to urinate during the day. In week six of our progressive and holistic approach, William began to see a change in his wetting pattern, and he was thrilled. Of course, he would be! For the first time in his life, he began to see progressive results leading to an end to the bedwetting. He told his counselor that he was able to see progress and the finish line was in sight! What is required for each appointment is pertinent data as it relates to the bladder development and the sleep intervention training. Incremental changes are often difficult for the patient to detect, but the job of the bedwetting counselor is to identify and design the next step to maintain progress. Enuresis Treatment Center’s sleep training protocol focuses on the relationship between the deep sleep and the disconnect with the bladder signals. As we know, the brain becomes less malleable as we age, and it was known that Williams program would possible take longer than it would take a child’s brain to respond. William’s counselor noted that he followed all directives in a timely fashion. The Reinforcement Phase took longer, as was anticipate, but completed. His counselor was satisfied, via current data, that his new sleep pattern had emerged. The bladder and brain synchronized and the adult bedwetting ceased to be a problem. William entered his teenage son into one of the Enuresis Treatment Center’s specialized teenage bedwetting programs four week after he finished his program. Author Michael Stallsmith, M.A., Sp.A.